Retinoblastoma is a form of eye cancer. A specific area of the eye, the retina, is affected by this disease. 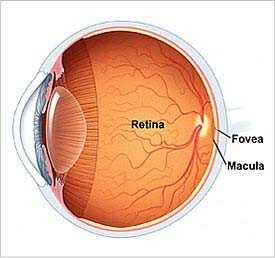 The retina is the tissue located at the back of the eye that is responsible for detecting color and light. 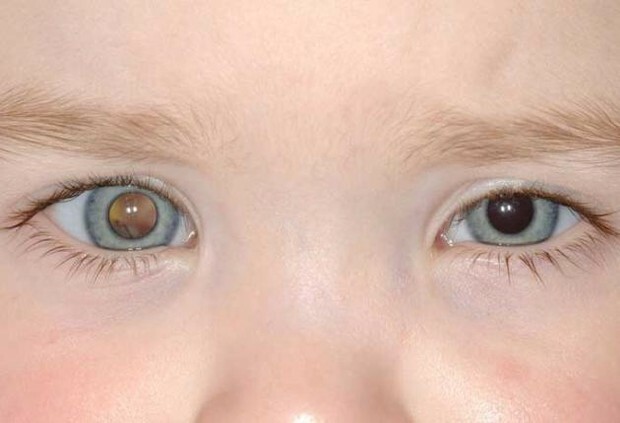 Retinoblastoma is caused by an abnormality in the Rb1 gene, which regulates cell growth. Mutations in this gene stop it from creating functional proteins. This disease can occur in one eye (Sporadic) or both eyes (Familial) and has the ability to spread to surrounding tissue. It's victims are typically young children. They most likely have poor vision, eye pain, and lack the ability to focus or control their eye movements. The symptoms of Retinoblastoma are white pupil(s), irregular eye alignment, and pain or redness in the eye (often caused by glaucoma). If it is left untreated, Retinoblastoma could potentially be deadly. The inheritance pattern of Retinoblastoma is Autosomal Dominant. This means that the offspring only needs one gene from a parent to inherit the disorder. Although only one parent may have the gene for Retinoblastoma, their child will most likely develop the disease because it is dominant. The good news is that the majority of the children who suffer from Retinoblastoma can be cured. There are several different types of treatment methods for this disease, such as radiation therapy. Additional forms of treatment are enucleation, which is surgical removal of the eye; cryotherapy, using extreme cold to kill the cancerous cells; and photocoagulation, which is using laser lights to kill the blood vessels that provide the tumor with nutrients. Chemotherapy, the use of drugs to destroy cancerous cells, is still being tested to see whether or not it is safe to use on children. About 250 in 350 children in the United States are diagnosed with Retinoblastoma each year. Isaac, a character from The Fault in Our Stars, suffered from Retinoblastoma. When he was younger, he had one of his eyes removed and replaced with a glass one. Unfortunately, the disease began to progress too far and he had to get his other eye removed as well. Therefore, he lost his vision all together. However, he is ready for the time when scientists come to his house with robot eyes for him to try on. 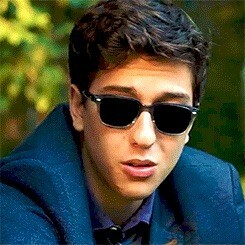 “Isaac.” Foreveryoungadult.com. Foreveryoungadult.com, 29 Jan. 2014. Web. 2 May 2015. <http://foreveryoungadult.com/2014/01/29/a-highly-scientific-analysis-of-the-fault-in-our-stars-trailer/>. Photo of Isaac from The Fault in Our Stars. 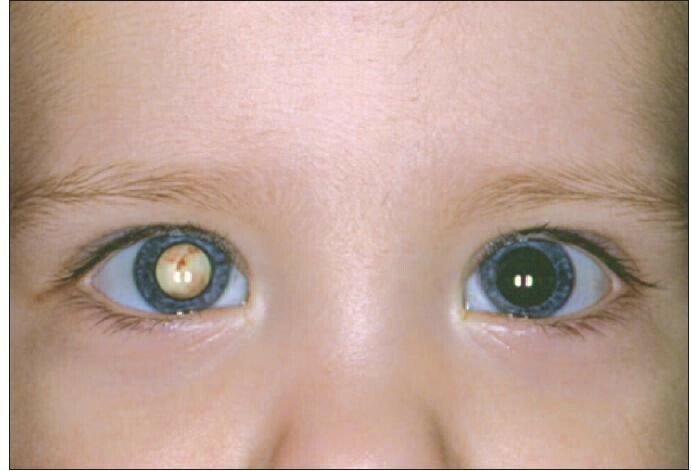 “Retinoblastoma.” Ghr.nlm.nih.gov. Rev. 2015. Genetics Home Reference, 28 Apr. 2015. Web. 3 May 2015. <http://ghr.nlm.nih.gov/condition/retinoblastoma>. 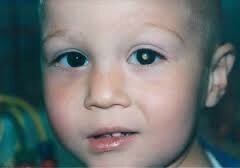 “Retinoblastoma.” Psychiatrictimes.com. UBM Medica, n.d. Web. 3 May 2015. <http://www.psychiatrictimes.com/articles/strabismus/page/0/5>. “Retinoblastoma Diagram.” Babychildillness.blogspot.com. Blogger, n.d. Web. 3 May 2015. <http://babychildillness.blogspot.com/2011_10_01_archive.html>. “Retinoblastoma Treatment.” Cancer.gov. Rev. 2015. USA.gov, 2 Feb. 2015. Web. 3 May 2015. <http://www.cancer.gov/cancertopics/pdq/treatment/retinoblastoma/HealthProfessional/page1>. Turkington, Carol, and Joseph R. Harris. “retinoblastoma.” Health Reference Center. Facts On File, Inc. Web. 2 May 2015. <http://www.fofweb.com/activelink2.asp?ItemID=WE48&SID=5&iPin=BRENT0693&SingleRecord=True>. Turkington, Carol, and William LiPera. “eye cancer.” Health Reference Center. Facts On File, Inc. Web. 3 May 2015. <http://www.fofweb.com/activelink2.asp?ItemID=WE48&SID=5&iPin=EOC0310&SingleRecord=True>.